Hello sparkly teeth! Colgate Toothpaste MaxFresh Spicy Fresh Spicy Red Gel is infused with cooling crystals (in strips), which dissolve completely as you brush for a while new dimension of freshness. Unleash an intense blast of lasting freshness in your mouth, each time you brush. 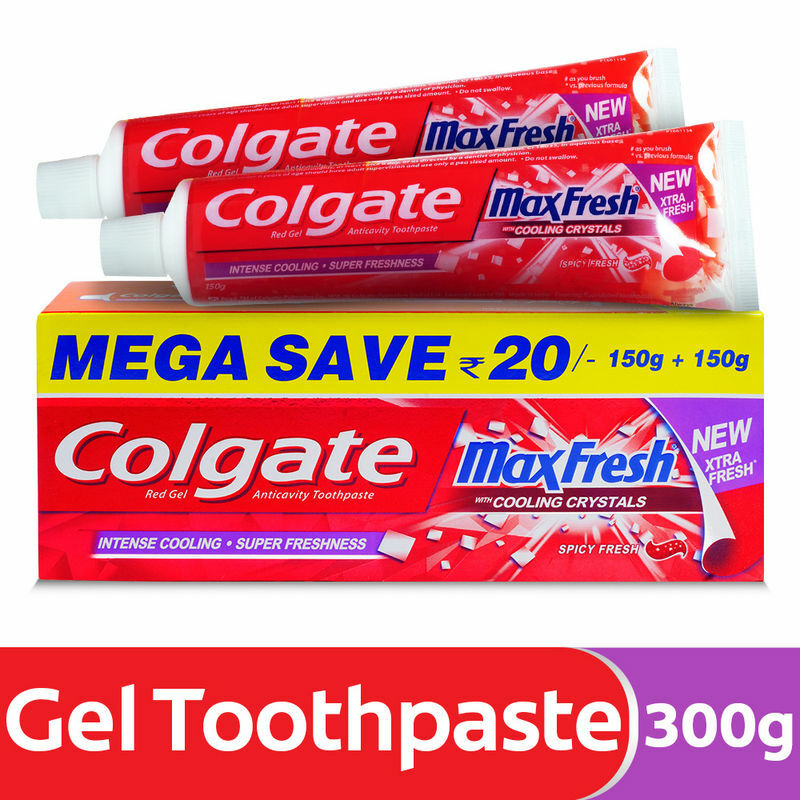 The tingling spicy fresh flavour and the trusted protection of Colgate max fresh spicy red gel keeps you ready for an energizing day with a sparkling white smile and fresher breath. Start your day fresh and healthy!